Watch this video to find out why you should let your new deck weather before using any deck stain on it. Weathering allows the surface of the wood deck to break down and become more porous. It also allows moisture or chemicals from the pressure treating process time to dry out. This is important because the more porous the surface of the wood is, the better the stain will absorb into the wood, and the longer the wood stain will last. 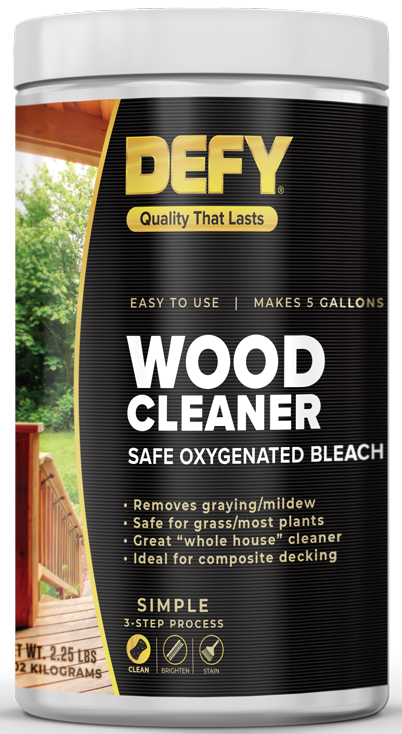 Prepping your deck with an oxygenated bleach wood deck cleaner is crucial for getting the most out of your deck stain. It not only cleans the wood, but it opens the pores of the wood so it can absorb more stain. 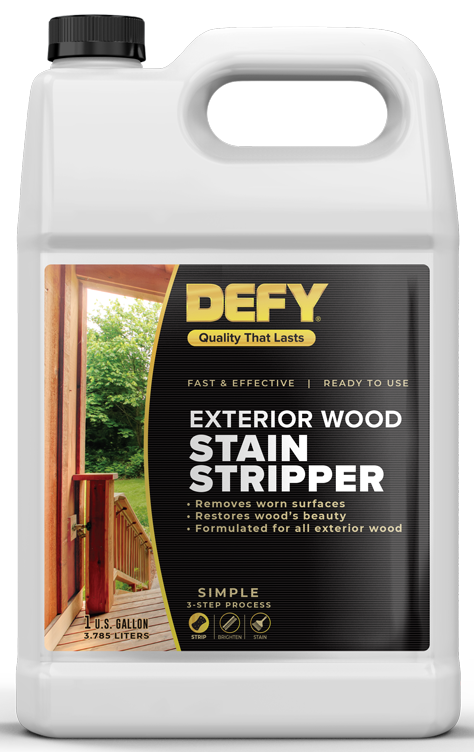 Watch this video to find out why DEFY Wood Cleaner will make your deck stain last longer. 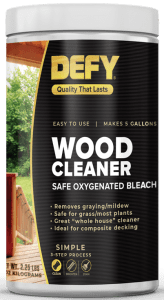 Wood Brightener does 3 things for your deck – it neutralizes any remaining stain stripper or wood cleaner, it restores and brightens wood to its natural, bare state, and it opens the pores of the wood. All 3 of these things are critical to getting the longest lifespan out of your deck stain and will save you time and money in the long run. Do you have a question on applying a Defy maintenance coat of stain? We love hearing from our customers who have used the Defy Stains or have questions on the application. We appreciate your input, so feel free to leave a comment below and pictures of your completed projects if you have them. No deck stain will last forever. Eventually, all deck stains will fail. The question is how long does it take, and how easy is it to maintain when it begins to fail. Some deck stains will need to be completely stripped or sanded every other year or two. Others, simply fade away and won’t need to be stripped. 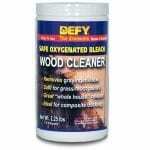 DEFY Wood Stains are easy to maintain. 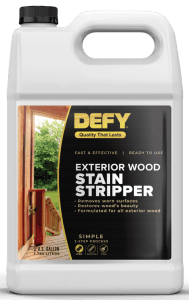 Simply clean the surface with an application of Wood Brightener and apply a light maintenance coat of DEFY semi-transparent or clear deck stain and you’re done.